Thanks for the post big fan here – WhatZupBristol! 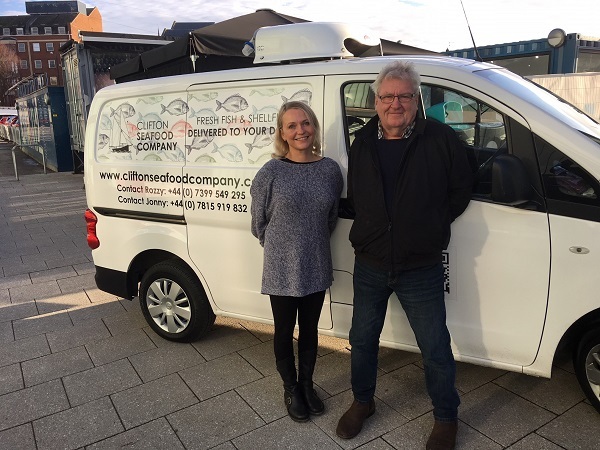 On December 15th, Clifton Seafood Company will be the latest business to join CARGO at Wapping Wharf, in a standalone shipping container next to Pizzarova. It’ll be their first retail space in Bristol, and the team plan to supply a range of fresh seafood from the South Coast and beyond to Wapping Wharf shoppers, with a home delivery service also on the horizon. The doors will open for the first time at 11am on Saturday, December 15th with a bit of a party: there’ll be canapés from Fishers Restaurant in Clifton Village, Thai fishcakes courtesy of Bauhinia, and wine provided by Andy from Stewart Wines. During the opening weekend, shoppers will also be able to enjoy 20% off all purchases up to the value of £100, and there will be a prize draw offering the chance to win a Christmas Fish Box or one of a number of runner-up prizes, with the draw made before Clifton Seafood Company closes its doors fo rthe day on Sunday, December 16th. It’s the first announcement of a few for CARGO and Wapping Wharf: in addition to Clifton Seafood Company, there are two new units (one of three shipping containers and one made of six) opening on top of the existing ground floor units of CARGO 2…announcements about their occupants to come soon! The post Clifton Seafood Company to open at Wapping Wharf appeared first on Bristol Bites. Previous PostPrevious IMO anything about are great who agrees?